Seductive, glamour and sophisticated style radiate from this Estremo Lady women's watch. A green guilloche soleil dial creates an eye-catching and charming look. Conveniently featured are luminous hands and a date display. 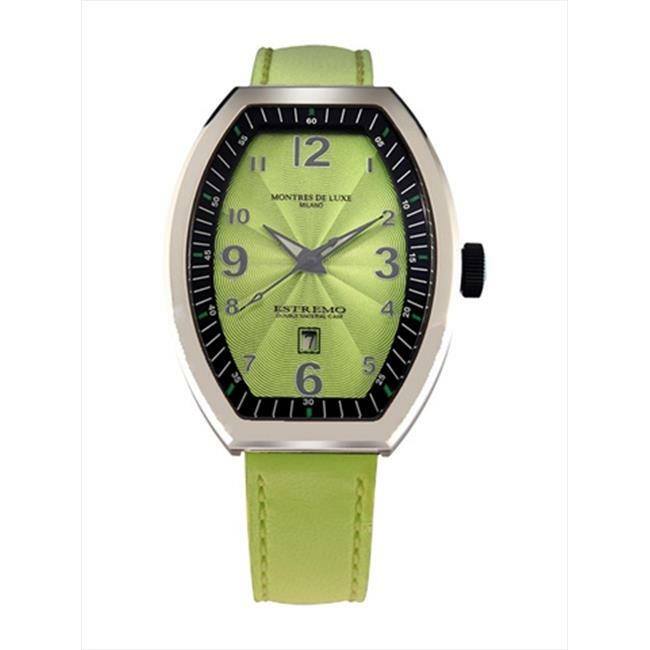 This timepiece is selectively constructed of a steel tonneau shaped case, green leather strap, convex anti-reflex mineral crystal window, quartz movement, 99 ft. water resistance, and deployment buckle clasp. The high functionality and exceptional fashion amazes and thrills its wearer, taking them into a world of delicate elegance that leaves a mark.